← Newtown Creek Swept! Sorta. Trees and Docks — What a Day! 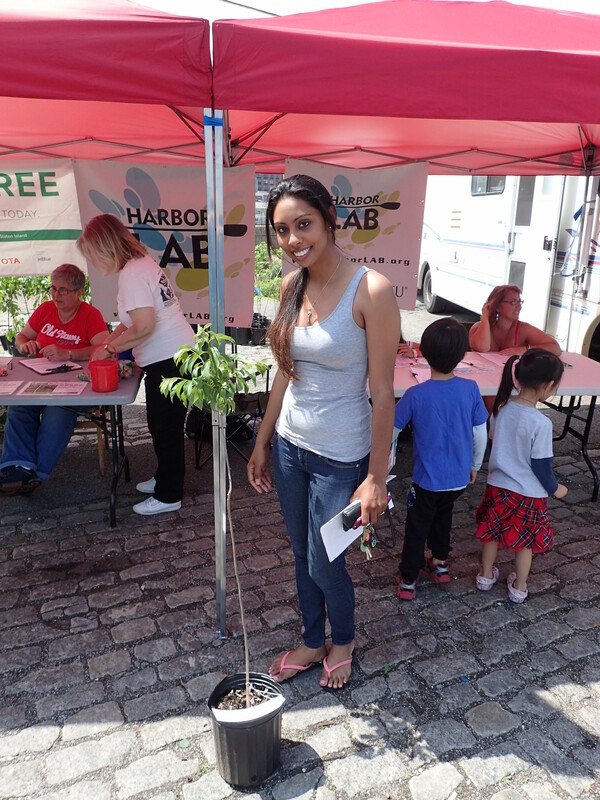 HarborLAB again brought green new life to the Hunters Point, LIC waterfront on Newtown Creek by hosting a MillionTreesNYC giveaway of 150 saplings! 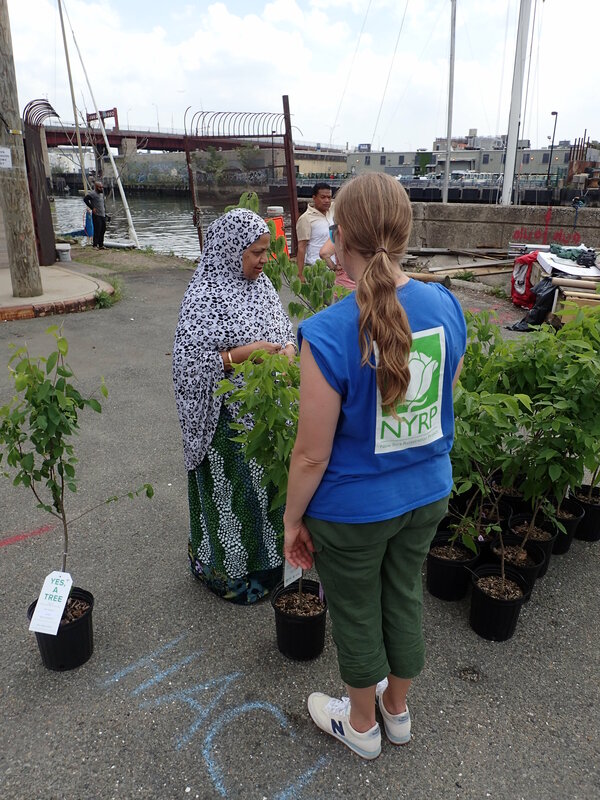 Many thanks to New York Restoration Project for supplying the trees and expertise to make this happen! We provided hackberry, serviceberry (shadbush locally), American persimmon, and native dogwood trees to the public, with smiles! NYRP provides guidance. Newtown Creek in the background. 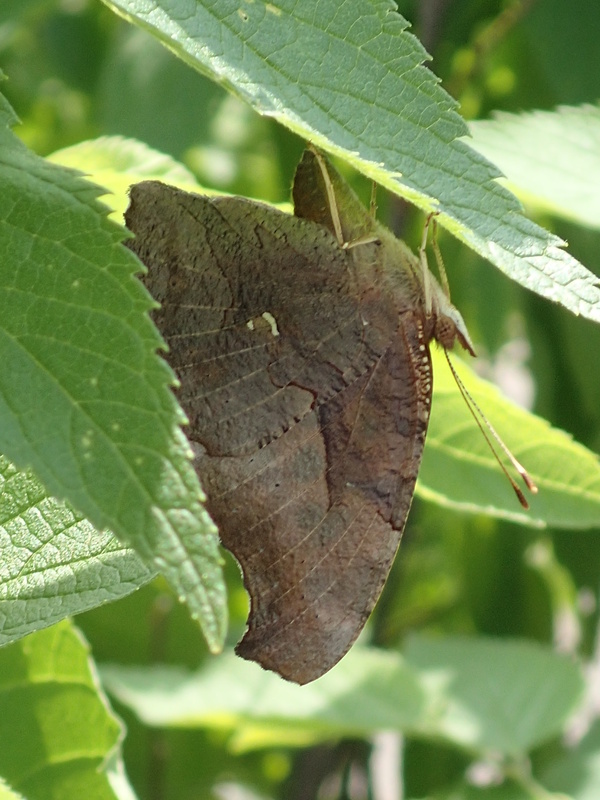 Some pollinators chose to just hang for a bit. The persimmons went like hotcakes, and we’ll plant surplus berry trees in the Gateway National Recreation Area’s habitat restoration at Plumb Beach this Saturday! Paddling and planting, perfect together! HarborLAB will also plant these salt-tolerant indigenous plants at our own GreenLaunch, to support pollinator insects (they found us right away! ), birds, and hungry paddlers! Our edges and slopes will be rich in beach plums, shadbush, native grasses, milkweed. goldenrod, and other beautiful and important species. Indeed, it’s already underway! Further upland we’ll have raised bed orchards for those hungry paddlers. We’ll also have innovative living structures. We’re so committed to greening because plants of all sizes reduce atmospheric CO2 (and thus reduce ocean acidification and riding sea levels), reduce combined sewer overflows, stabilize shorelines, and provide sustenance and protection to native animals. 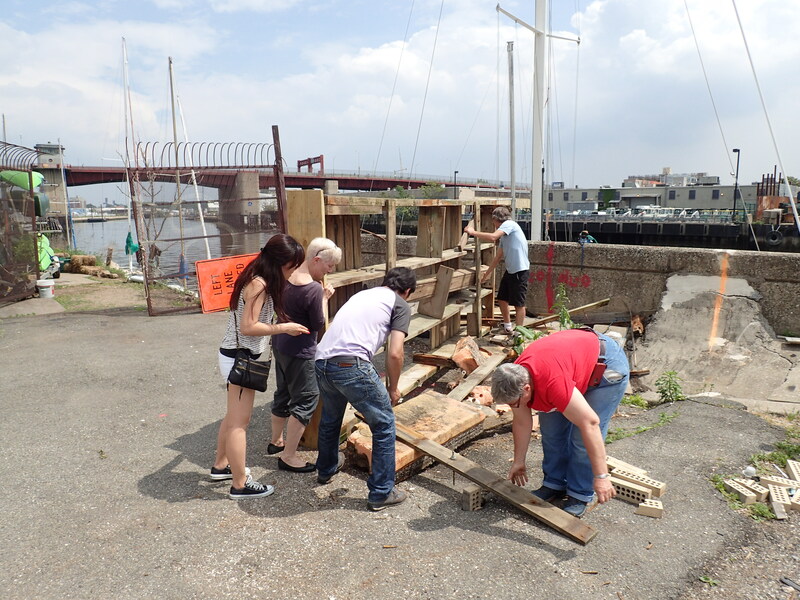 After all of that work was done, we got to work on building our second dock. 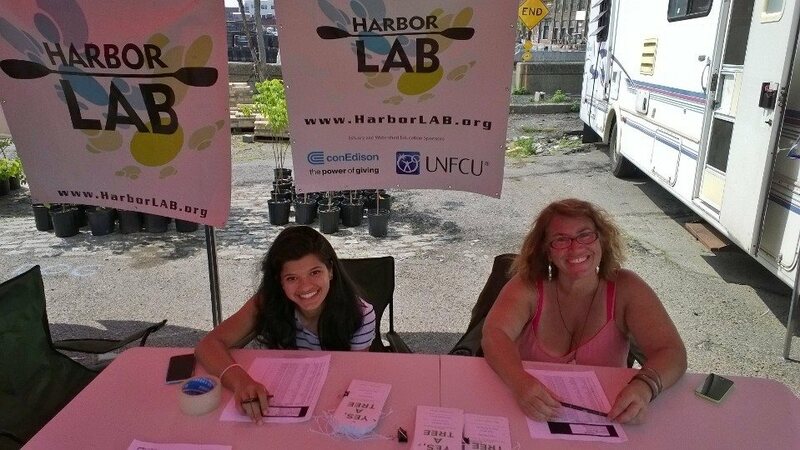 By June both HarborLAB and CUNY LaGuardia Community College will have small environmental science research docks built by HarborLAB volunteers! We’ll keep one on the main channel of the Newtown Creek while the second will be floated into Dutch Kills to further habitat restoration studies there. 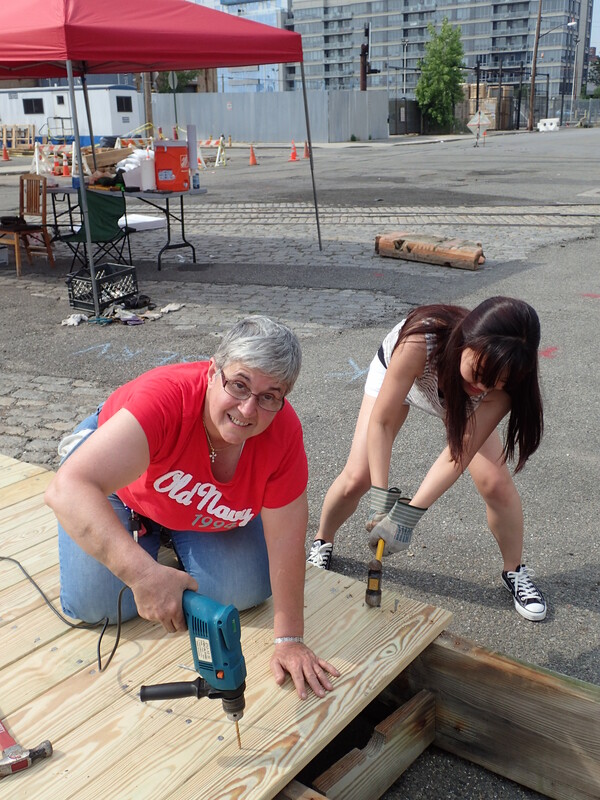 Dr. Sarah Durand came this weekend to help with the dock building, and Dr. Holly Port-Morgan came last weekend to join our Riverkeeper Sweep program.